We watched general conference this weekend. It was great! I loved it! It was being shown in Ukrainian in the chapel, but we had an audio recording of it in English which we listened to in the back of the room. We tried to match it up the best we could to the video, but it was a few seconds off. It was a little distracting but ok though. I could post some of my favorite quotes from my favorite talks, but I love them so much that it would not do justice if I do not post the whole thing! So here are two of my favorites, and my thoughts are after each one. The Savior Himself provided the answer with this profound declaration: “If ye love me, keep my commandments.” This is the essence of what it means to be a true disciple: those who receive Christ Jesus walk with Him. Since “God is love,” the closer we approach Him, the more profoundly we experience love. But because a veil separates this mortality from our heavenly home, we must seek in the Spirit that which is imperceptible to mortal eyes. Heavenly Father’s love for His children is the core message of the plan of happiness, which plan is made active through the Atonement of Jesus Christ—the greatest expression of love the world has ever known. How clearly the Savior spoke when He said that every other commandment hangs upon the principle of love. If we do not neglect the great laws—if we truly learn to love our Heavenly Father and our fellowman with all our heart, soul, and mind—all else will fall into place. I think President Uchtdorf really captured how important and vital love is to our every way of life. I love Love. It is the driving factor of – everything. If we don't have love we have nothing. I want it absolutely clear when I stand before the judgment bar of God that I declared to the world . . . that the Book of Mormon is true. 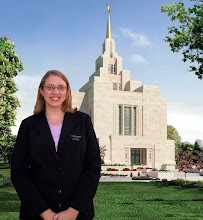 In light of that, it has always been significant to me that the Book of Mormon, one of the Lord’s powerful keystones in this counteroffensive against latter-day ills, begins with a great parable of life, an extended allegory of hope versus fear, of light versus darkness, of salvation versus destruction—an allegory of which Sister Ann M. Dibb spoke so movingly this morning. In Lehi’s dream an already difficult journey gets more difficult when a mist of darkness arises, obscuring any view of the safe but narrow path his family and others are to follow. It is imperative to note that this mist of darkness descends on all the travelers—the faithful and the determined ones (the elect, we might even say) as well as the weaker and ungrounded ones. The principal point of the story is that the successful travelers resist all distractions, including the lure of forbidden paths and jeering taunts from the vain and proud who have taken those paths. The record says that the protected “did press their way forward, continually [and, I might add, tenaciously] holding fast” to a rod of iron that runs unfailingly along the course of the true path. However dark the night or the day, the rod marks the way of that solitary, redeeming trail. “I looked and beheld the Redeemer of the world, . . . [who] went forth ministering unto the people. . . .
Love. Healing. Help. Hope. The power of Christ to counter all troubles in all times—including the end of times. That is the safe harbor God wants for us in personal or public days of despair. That is the message with which the Book of Mormon begins, and that is the message with which it ends, calling all to “come unto Christ, and be perfected in him.” That phrase—taken from Moroni’s final lines of testimony, written 1,000 years after Lehi’s vision—is a dying man’s testimony of the only true way. “Thou hast been faithful; wherefore . . . thou shalt be made strong, even unto the sitting down in the place which I have prepared in the mansions of my Father. A few short verses from the 12th chapter of Ether in the Book of Mormon. Before closing the book, Hyrum turned down the corner of the page from which he had read, marking it as part of the everlasting testimony for which these two brothers were about to die. I hold in my hand that book, the very copy from which Hyrum read, the same corner of the page turned down, still visible. Later, when actually incarcerated in the jail, Joseph the Prophet turned to the guards who held him captive and bore a powerful testimony of the divine authenticity of the Book of Mormon. Shortly thereafter pistol and ball would take the lives of these two testators. “Hearken unto these words and believe in Christ; and if ye believe not in these words believe in Christ. And if ye shall believe in Christ ye will believe in these words, for they are the words of Christ, . . . and they teach all men that they should do good. Brothers and sisters, God always provides safety for the soul, and with the Book of Mormon, He has again done that in our time. Remember this declaration by Jesus Himself: “Whoso treasureth up my word, shall not be deceived”—and in the last days neither your heart nor your faith will fail you. Of this I earnestly testify in the name of Jesus Christ, amen. This talk by Elder Jeffery R. Holland blew me away. His passionate testimony of the Book of Mormon is very much what I desire for myself. I think that if I could share with my investigators just a fraction of that kind of testimony I will bring so many more people to Christ. Can I join my testimony to his and declare my love and gratitude for the Book of Mormon? I did not come on a mission just because I know that Christ lives. I did not come on a mission just because I wanted to serve others. I did not come on a mission just because I love my church. I came on a mission because I know the Book of Mormon to be the word of God. I know that it will bring people closer to Jesus Christ than through any other book. I know that it was written by prophets of God anciently and translated by a the Prophet Joseph Smith by the power of God. I know that by reading it and living it's principles you can find more happiness in this life than you could in any other way. I invite all to read, study and pray about the Book of Mormon so that they may know of it's truthfulness and glory for their-selves. This I ask in the name of Jesus Christ. Amen.